I know that the holiday season is rapidly approaching when my stats from Google searches start to show an overwhelming number of folks looking for cork reindeer. Of course, those of you who are here for the wine are asking, wtf is a cork reindeer, and if I were sitting in your shoes three years ago I’d be asking the same thing. This is a cork reindeer in the wild. 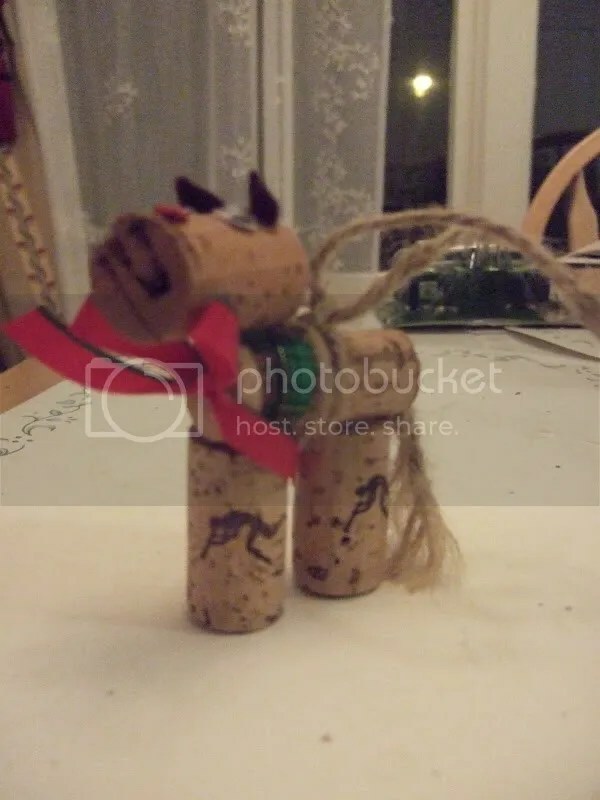 This is the mythical beast known as the cork reindeer. About three years ago, my mother purchased this ornament at a local craft fair, obviously designed by someone far more creative than I am. I mentioned it here on the wine blog at the time as something to do with old corks and promptly forgot about it. Until I started noticing a trickle of folks searching for “cork reindeer,” “cork ornament,” “cork reindeer ornament” and any number of other combinations and spellings. Then the deluge came in September and didn’t let up again until after Christmas. I did a bit of Googling myself and realized no information about the wily cork reindeer seemed to exist, so I took pity on the Googlers and posted photos of it. Now, people are still searching for it and for instructions on how to make it. In fact, the number of people searching for cork reindeer in the months of Sept-Dec is the most popular search term I get during that time. So I’ve decided to be a nice wino and answer the demands of these crafty wayward readers and do a tutorial on how to make cork reindeer. Now my question for you is, would you like to see me do a video blog of it? Answer my poll and let me know your opinion!